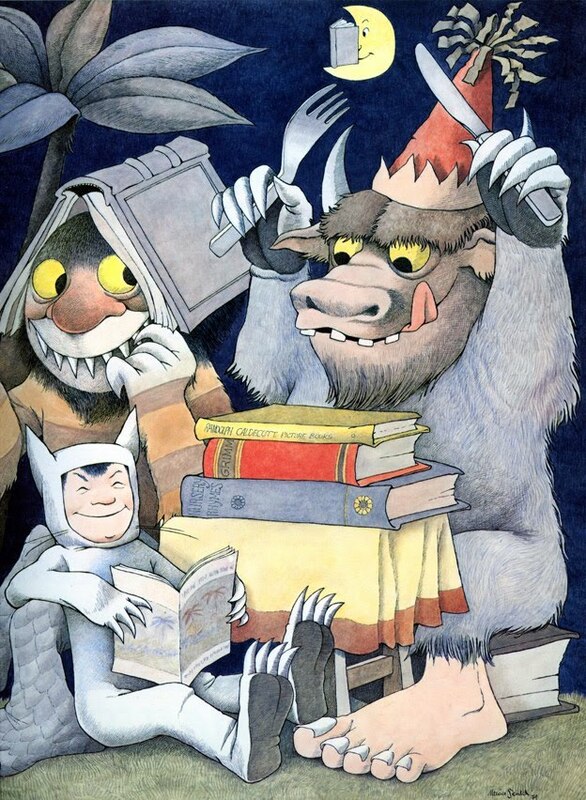 As a writer for and a teacher of young children, I would be remiss if I didn't pay homage to Mr. Maurice Sendak today. In many ways, he is such a huge part of my everyday life. I hope he's up there somewhere having a drink with Max and those badass Wild Things of his. I know. It made me so sad that he had passed. He was amazing! I can't imagine a better version of heaven than a drink with Max and those badass Wild Things. For sure they're having a drink. I bet the wild rumpus has started by now! the quote about a fan eating his artwork has always been one of my favorites. we definitely lost an amazing man this week.